Last week was my final session of one-on-one swimming lessons with Swimming Nature and I’m so sad it’s over! You can read all about my first lesson here. 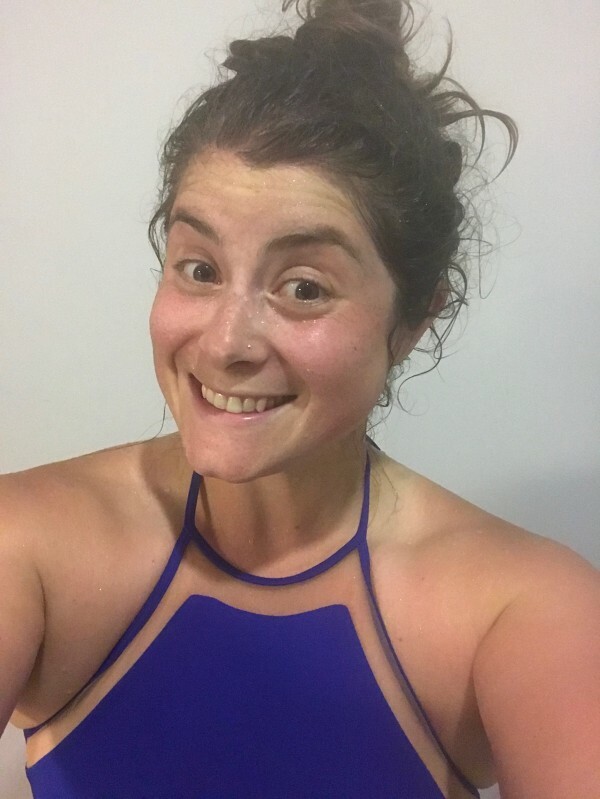 I went into these sessions knowing that I’m a fairly confident swimmer and I’m very comfortable in the water so I was excited to work on my technique and have my first swimming lessons as an adult. In my second lesson we worked further on my front crawl technique by trying to slow down my arms, the result of which is that I felt a lot less panicked when swimming front crawl. I’ve mentioned before that I felt I could swim breakstroke for hours and now my front crawl is approaching the same calmness and sustainability as breastroke. Mark also tweaked my breasktroke technique, encouraging me to look at Adam Peaty’s body position in the water to find a more streamlined way of moving. The best part of that session was learning how to tumble turn properly! I’ve only ever done them on my own before as a kid so it was great to be taught the proper technique using Fergus the toy monkey (not as weird as that sounds, trust me). 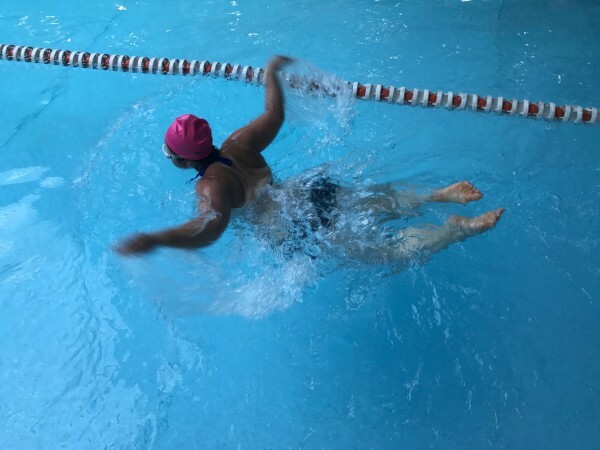 In the third session we continued working on my arm position for front crawl to get the coveted ‘high elbow’ which creates an efficient and beautiful stroke. I’m not sure I felt so beautiful as I swam but I could definitely feel the advantage in the efficiency. We tested it by timing the tempo of my stroke (2.6 seconds per cycle) and then playing with the speed of the length by just adjusting the technique and body position. My front crawl length time dropped from 21 seconds down to 16 seconds, a huge difference! My final session was focused on learning the butterfly stroke, something that I’ve never been taught before. Mark broke it down to its parts before we put it all together and suddenly it didn’t seem quite so scary or difficult. My butterfly certainly needs a lot of work but the basics are there. We finished off by swimming a medley, one length each of butterfly, back stroke, breastroke and front crawl. I finished on a massive high feeling really proud with how much I’ve learned and how much happier I feel in my front crawl. 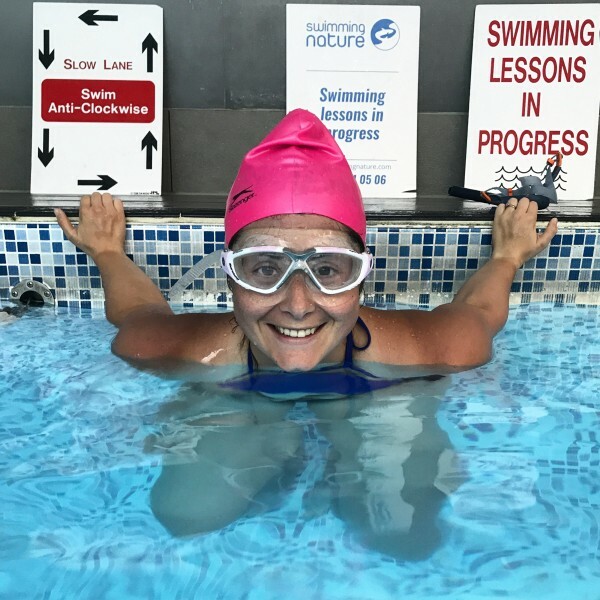 I would highly recommend Swimming Nature and specifically Mark at Fitness First Highbury for the simple teaching methods, confidence-boosting feedback and in-water demonstrations that I haven’t seen other places offering. The focus with Swimming Nature is learning how to swim beautifully and while I’m not sure my strokes are beautiful quite yet, I definitely feel happy doing them. I came away from each session feeling positive and full of energy and if there’s one suggestion I’d make, it’s that if you book a session, splash out (sorry) for the full 60 minute session. 30 minutes flies by too quickly and I was left wanting more each time. Prices for the 60 minute one-on-one sessions are £64 which is on a par with personal training sessions, essentially what you’re getting but just in the water! Ah this sounds wicked, I loved having lessons when I first started, although I was a complete beginner and still am as haven’t swam for over a year when I broke my collarbone last year. I’m like you though I can do backstroke forever. Well done on your progress, looks like you’ve done really well!